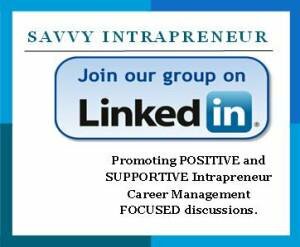 Update June 21, 2013: Subscribe to Savvy Intrapreneur and recieve a FREE eBook "10 Powerful Networking Tips Using Business Cards - Global Extended Edition". This eBook has much more information with networking etiquette tips for international travel. Learn cultural diversity to have successful networking outcomes. This article was first published in 2004. According to Google, it went viral onto thousands of web sites, blogs and social media networks. Many thanks to the Los Angeles Chinese Learning Center, Rod Colon Consulting, Net-Temps, EzineArticles, iPower Global Solutions, Asian Business Cards and Scott Ginsberg for being prominent champions to publish the original article. The world has become smaller. Developing personal and business networking relationships requires acting local, but thinking global. The changing world landscape of diverse cultures now surrounds us down to your next door neighbors. Career and business survival dictates learning savvy approaches and etiquette for using business cards in various situations. Whether you are looking for a job or running a business, giving out business cards is crucial to marketing your skills or services. Even as a job seeker, develop the mindset of running the business of ME, Inc. Business cards speak volumes about who you are, what you offer and how serious you are marketing ME, Inc. as a business. Oh! So, you have a resume and don't need business cards. Can you carry 10 resumes in your wallet? Do you or can you carry your resume everywhere you go? A church bell ringing lets people know they are open for business. Your business card is your bell. Here are some proven tips using business cards to increase your chances of landing a job or creating a business opportunity. 1. Never leave home without them. Before leaving home, your checklist should be expanded to include business cards, as part of "do I have my wallet/money, house keys, driver's license'" Any 'per chance' meeting is an opportunity to give out a business card. A morning run or a quick trip to the local store could be an opportunity to network. My wife and I always ask each other 'do you have business cards', before leaving the house. Make it a habit to carry business cards. 2. Use proper business card etiquette. In the United States, Canada and the UK business card etiquette is less formal. Whenever you give a business card, ask for a business card. When given a business card, don't just take it and place it in your pocket. Make the person feel important by looking at their card for a few seconds. You might see something that could be a topic of discussion. Write comments on the card such as date, location and common points of interest. These comments will prove valuable when following up with that person. This also demonstrates a sincere interest in the other person. Then place it in your wallet. This lets people know they reside in a special place with you. Skill with People by Les Giblin is a book that expands on this approach. Make people feel important, in order to make yourself important to them. In other countries like India, Japan, China and Korea there is immense ceremonious formality or protocol associated with exchanging business cards. Make sure you do your homework to understand the cultural nuances when meeting with a particular group of people. 3. Be generous. Give business cards out to everyone, including family and friends. Don't let vanity stop you from giving out your last business card or giving 2 at a time to each person. I have met many people who have totally missed the purpose of a business card. I once asked a person for a second business card, so I could refer his services. His response was "I only have a few cards left and I need them", as he looked again at his name on the card. Hoarding your business cards only makes your wallet feel full, not your bank account. 4. Ask for referrals. When giving a business card, people feel more comfortable when you ask; 'I would appreciate a referral, if you know anyone that could use my services'. Don't make people feel like they are on the spot. This approach disarms people much better than asking them, "is your company hiring" People naturally like to do favors for people. Saying 'could you do me a favor by referring my services to someone'. This always places you in a better position with them. They will feel better about helping you. Give them 2 cards. 5. Maximize every "per chance" meeting. You never know when you might meet someone who can help you. Family or friends social events could produce unexpected encounters with people. Don't discount those events. So you're going to a birthday party for your friend's kid. You never know who you might meet. At a family holiday gathering, I met someone that has been instrumental in developing our business. Who would have thought this could happen by giving him a simple business card. 6. Place yourself at the right place at the right time. Have you been to a job fair or business conference and been disappointed with the networking results? Turn the tables around. Consider volunteering to help out at the job fair or other types of events. This puts you in a better strategic position for presenting your resume or business card. Company representatives might view you differently, if they know you are willing to go the extra mile in helping them make their presence easier to manage. Get involved by visiting the event calendars on LinkedIn, Networking Event Finders, FullCalendar, Craigslist, Speakers &amp; Sponsors or Empowering Today's Professionals. This provides you with opportunities for giving out your business card. Volunteering for events has been a very successful resource for my business partner and me to expanding our business. Zig Ziglar, one of the most successful sales trainers in the world says "if you help enough people get what they want in life, you will get what you want in life". 7. Use email as your electronic business card. An email sent to just 2 people, who know you, can exponentially get the word out about your business. That single email to 2 people could potentially go out to 2,000 people in less than 1 hour. It's a natural phenomenon inherent to email, called viral marketing. Your Email Signature is THE most important advertising area for you. This area is your billboard. It's also your electronic business card. This is the area where you tell people about your business. Insert your [business] name, logo, tag line or slogan, telephone number, web site, email address and maybe your snail mail address. www.WiseStamp.com provides an awesome tool to create email signatures. 8. Use "In Your Face" follow up. After a business card exchange, ideally you want to follow up 24 to 48 hours with the new person(s) you met. Pay attention to global time zones when making follow up phone calls. This is especially crucial with sending emails. To increase the chances of your email getting noticed, read and a response, the best times to send email is Monday through Thursday 10:00AM to 2:00PM LOCAL TIME FOR YOUR CONTACT. Although times may vary, after 2:00PM the siesta is a traditional midday sleep or time off in many countries, like Spain and many Latin American countries. Brazil stands in cultural contrast, as an exception. Afternoon sleep is also a common habit in the Philippines, China (called wujiao), Vietnam, Bangladesh (bhat-ghum meaning "rice-sleep"), India, Southern Italy, Greece, Croatia, Malta, the Middle East and North Africa. Islam suggests an afternoon sleep between Dhuhr and Asr prayers. So follow up emails may not get read during this time. Keep your note short so your email signature (tip #7) shows on the same screen. Did you ever have a job interview or meeting with a recruiter, potential client or employer and wonder why they never called you back' 'Out of sight, out of mind' is the operative phrase to remember. Today's economic climate dictates you might be competing with 20, 50, 100 or more other people for the same position or contract. It's quite a task for people to keep track of each individual meeting. So it's up to you to give a person a reason to call you back. Immediately after a meeting, snail mail a hand written note thanking the person for their time. Insert your business card. Now you're in the driver's seat in standing out from other people. If you get no response, do it again. Patience and persistence pays off. 9. Leverage staff promotions to promote ME, Inc.. Newspapers often have stories of people being promoted to high levels in different organizations. This is an opportunity for you. Consider getting some invitation size blank greeting cards. Use the Internet's search capabilities to find out the address of the company's executive offices. Send the blank invitation type card with a hand written note sincerely congratulating a person on their promotion. Insert your business card. For the cost of a stamp, you have just made person's day and may create an impression that makes a person feel compelled to respond back to you. Make it a habit to do this once a week. Remember '6 Degrees of Separation'. You just never know . . . People open invitation type envelops faster than any others. 10. Brand yourself with a slogan. Print a slogan or on your business card that answers the question 'What is in it for me, if I hire you' Or ‘What makes you different from your competition’. A catchy tag line or slogan insures people ALWAYS associate you or your company with your product or service. People remember even after the commercial is over. That's called branding. Companies invest huge amounts of money to advertising agencies to come up with these lasting slogans. Consider doing the exact same thing on your business card. This is your insurance people remember you, after you meet. Don't just put Hortence Smiley, Accountant on your business card. Add something like "Financial Services With Integrity". A slogan makes all the difference between getting hired or not, because people will remember you long after a meeting. Social Media Business Card Tip: Prepare a business card signature for online Internet encounters. Similar to your email signature, add the same contact information at the end of comments made to blog or news articles. Be sincere and make sure your comment stays on topic. This can also be done when answering questions on LinkedIn. When it comes to Facebook, comments with your business card signature on business pages is acceptable, but be very careful on personal pages. If a person is asking for help related to your expertise on their personal page, contact information may be appropriate with your comment. Happy trails networking . 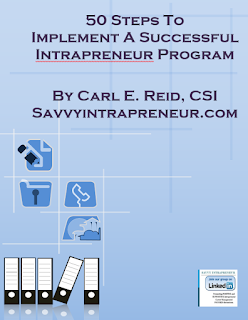 . .
"Success Synergy thru Intrapreneur Savvy, Human Capital and Tech Strategy"